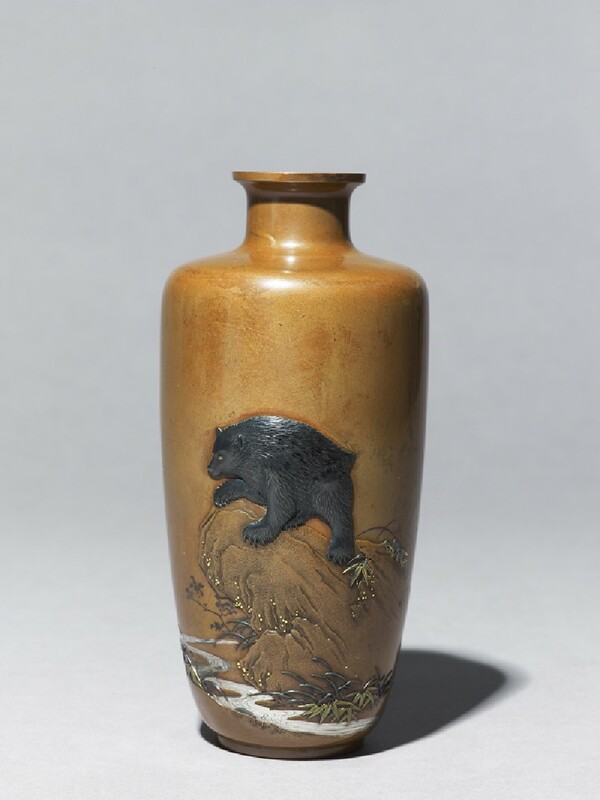 Baluster shaped bronze vase inlaid in soft metals with bear on rock overlooking a stream, in low relief & and flat inlay (hira-zōgan). Engraved signature: Hayashibe Katsunao with inlaid gold seal: Nao. No ther works by this artist seem to be recorded. This vase was exhibited at the Paris Exposition Internationale in 1900, and illustrated in the catalogue (unnumbered and unpaginated). 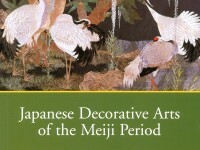 Similar such vases, by a number of different artists, were exhibited at the same Exposition.